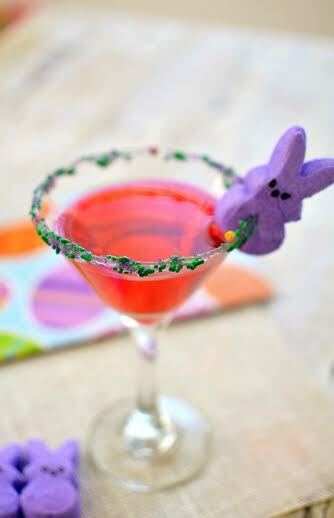 How cute is this Easter Drink idea? I love to get creative with PEEPS when it comes to decorating my Easter dessert platters and even fun mixed drinks for Easter. 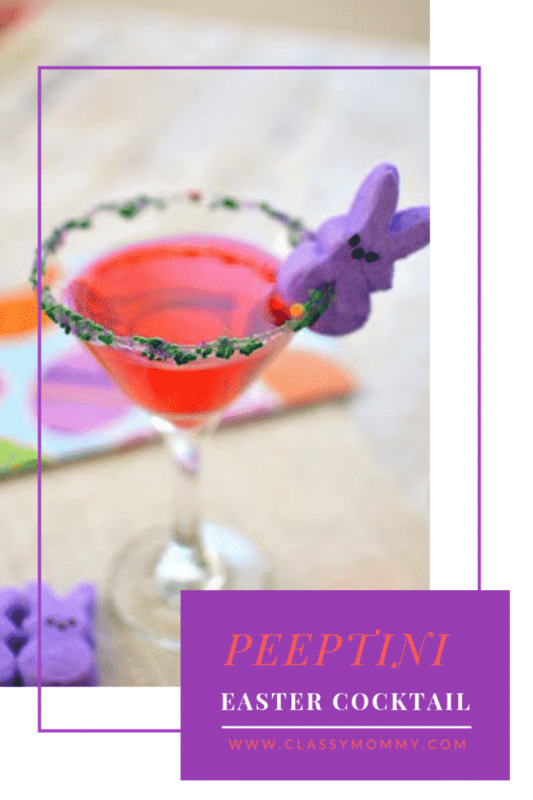 Check out our PEEPS Inspired Purple Bunny PeepTini recipe for Easter below. 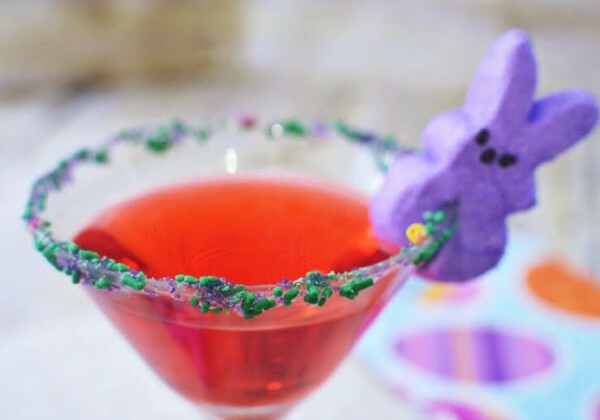 You could serve up non-alcoholic Juice drinks for the kids too in fun glasses rimmed in sprinkles and topped with PEEPS. Adorable! 1. Make a simple syrup by microwaving 1 tbsp. sugar and 1 tbsp. on high for 30 seconds. Stir for 30 seconds. Pour simple syrup onto a saucer. 2. Pour sprinkles on a separate saucer. Dip martini glass into simple syrup and then in sprinkles to create a candy rim. 3. In a shaker, pour Marshmallow Vodka and Cranberry Juice over ice. Shake for 30 seconds. 4. Strain into rimmed martini glass. 5. Garnish with Marshmallow Bunny Peeps by simply cutting a very small slit into the bottom of your PEEP.